Did you know that with your existing UserID, you can add automated, advanced-algorithm duplicate filtering to your next NCOA job? Your database will thank you. Duplicate records are costly, both in terms of wasted time, employee cost, as well as hard costs associated with mailing and processing. And don't forget frustration. Utilizing sophisticated multiple data element parsing, our dedupe processing is able to detect, delete, or simply flag duplicated records within your list. Even those records that may not appear to be exact duplicates but indeed are. Log in. Click "Add Dedupe". Enter your dedupe criteria, then click Submit. Dedupe will be performed as requested. Dedupe report included with Usage Report. *Special rate applies to files < 50k records. First, decide on a dedupe criteria. Note: If you are unsure, we recommend Address-based dedupe. Next, decide on a dedupe action. Would you like duplicate records deleted or simply flagged? Questions? Let us know and we'll get back to you right away. We work hard to make our users happy. And pricing is an important part of this. 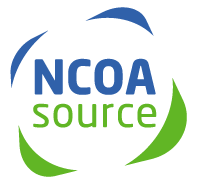 We're known as the most affordable NCOA provider because we treat our users as we like to be treated. Fundamentally, this means maintaining the lowest price possible instead of the highest price possible. It really is that simple. So no matter if you're a single-time user with a small list, or daily user with large volume, you'll find the same great wholesale pricing available to everyone. And there are never, ever, extra charges.